Essential Worship announces the debut release from Iron Bell Music. Titled God That Saves, the project from this Kentucky-based worship group will be available May 19. Read More Essential Worship announces the debut release from Iron Bell Music. Titled God That Saves, the project from this Kentucky-based worship group will be available May 19. Encompassing 11 original songs, the album's first single, "God That Saves," is currently at radio and already No. 11 on the Insp Indicator chart. Written by McWhirter, the song was inspired from his own personal testimony. After a long time of abusing drugs and eventually spiraling into a serious addiction, it was one life-changing evening where McWhirter encountered the Lord and was given a peace like no other. He shares, "I fell to my knees in tears, gave my life to Christ, and quit everything. In that moment, I came to intimately know the God that saves, the One who restores, renews and redeems what seems impossible. This song is my story, but it’s more than that. It’s a song that adores the Lord and declares His name and nature, over every circumstance, as the God that saves.” Please view the lyric video to "God That Saves," below. 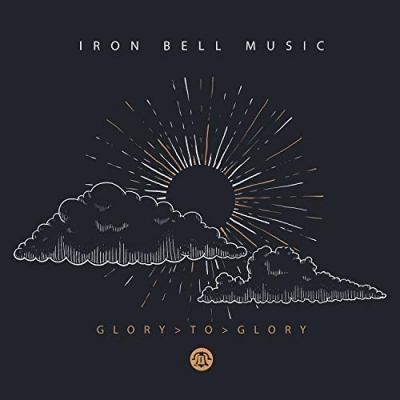 In addition to their worship nights, Iron Bell Music desires to help worship leaders. “There’s not a lot of resources on a personal level for worship leaders,” McWhirter says. “There’s enough for helping them do the functional part of their job but not for helping them be good at just loving the Lord. That’s actually the thing that is the most valuable tool they have - the overflow of intimacy with the Lord." To celebrate the release of their first album, Iron Bell Music will be holding a free concert on Friday, May 19 in Louisville. Beginning at 7pm, the not-to-be missed concert event will be held at Northeast Christian Church. For further information, please click here. Everyone is welcome!